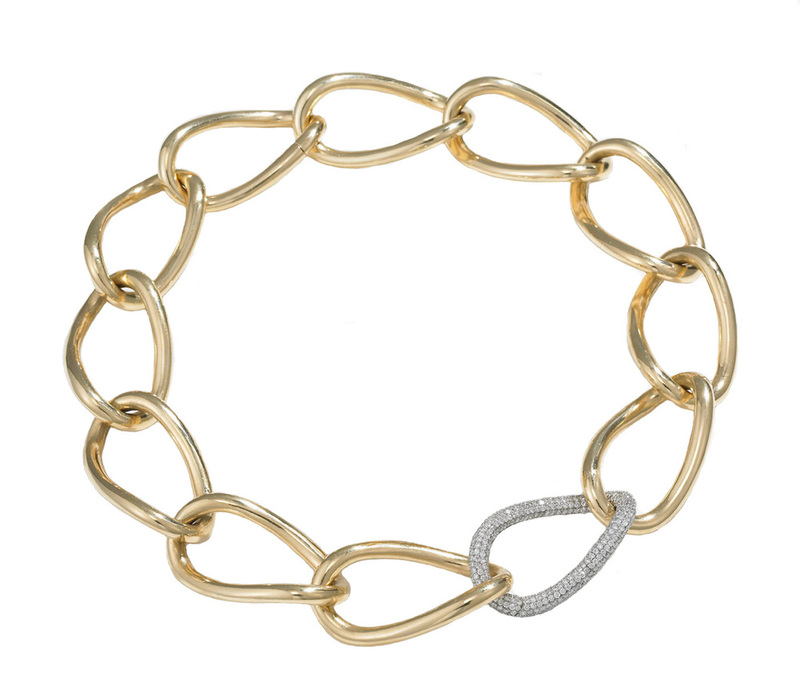 A pair of 18KT yellow gold Posh bracelets can be linked together to make the Posh necklace. The optional pavé diamond clasp shown can be purchased separately. Signed Meriwether.